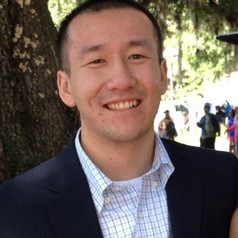 Michael Guo is a currently a fifth year MD-PhD student at the University of Florida. He completed his undergraduate at the University of Michigan–Ann Arbor, graduating with degrees in Business Administration and Cellular and Molecular Biology. As an undergraduate at Michigan, he conducted research in the lab of Dr. John Moran, where he studied the molecular mechanisms underlying human LINE-1 retrotransposition. Following completion of his first two years of medical school, Michael went to pursue his PhD in genetics at Harvard University through the Program in Biological and Biomedical Sciences. For his PhD, he is working in the lab of Dr. Joel Hirschhorn at Harvard Medical School, Boston Children’s Hospital, and the Broad Institute. He is pursuing a variety of projects for his dissertation work, including functional and genetic follow-up of GWAS hits and applying next generation sequencing to identify genetic causes of endocrine disorders. Following completion of his PhD, Michael will return to UF to complete the final two years of medical school.